Are you looking for the perfect gift, one that will always be remembered? 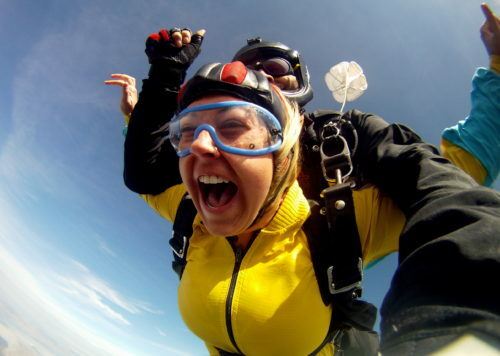 A skydiving gift certificate is great for any occasion. Please read carefully prior to your purchase: -Saturday Rate is the selected default. When choosing this option NO refunds will be issued if the recipient desires to jump on any other day. -Gift certificates are transferable to another person, but NOT refundable. -Certificates are valid for our 2019 SEASON ONLY. Look for our jump days, which can be found on our website weekly schedule. -Some restrictions may apply; Age (must be 18), weight (call if over 200 lbs.) and physical conditions. -We need to process your gift certificate, so allow us at least 24-48 hrs.